A relationship is not made by two pieces creating a whole, but two wholes creating a unity. 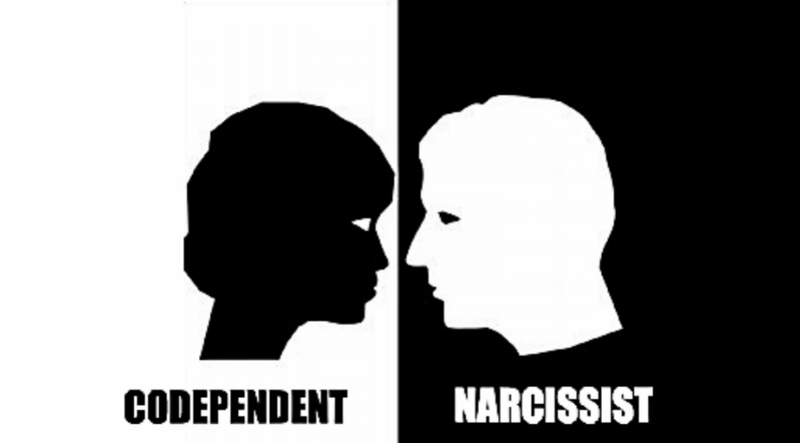 The dance between codependents and narcissists is one that majority of the relationships in the world partake in. Every dance needs someone to lead and someone to follow. Codependents and Narcissists are like two pieces that perfectly fit together, both give each other what the other person is missing. But there is a difference between a healthy personality with slightly codependent traits, and a full codependent personality. The later brings more dysfunctional relationships. The more codependent personality you have the more of a narcissistic person you will attract. To find out where you are on the codependent scale, look at these Codependent Personality Traits and see in how many of them you find yourself in. 1. You feel highly uncomfortable when you disagree with someone about something, or in any kind of normal conflict. 2. You tend to reply within the first 5 minutes when someone messages you, and you are most of the time available. 3. You adapt to wherever the group of friends, or your partner, decides to go or whatever they want to do. 4. You let others decide for you, when you are asked ‘where you want to go to eat?’ you reply with ‘don’t know, wherever you want’. 5. You always try to please other people, even if you don’t really have that opinion and agree with them you would act like you do. 6. You want to fix your partner, you think you are the only one who can fix them in the whole world. 7. You have been abused and manipulated by people you trusted, people you would have given almost everything. 8. You can’t stand to be someone who is considered a bad person, you would do anything you can for others to see you as good. 9. You are attracted to people who usually don’t give you too much attention but are focused more on themselves. 10. You feel guilt and shame when you ask for others to respect your boundaries. If you have 0 or just 1 of these traits than you might have a more narcissistic personality. If you have from 1 to 3 of these traits than you have a healthy personality with slightly codependent traits. If you have from 3 to 5 of these traits than you have an average codependent personality. If you have from 5 to 7 of these traits than you have a full codependent personality. If you have all of these 10 traits than you are an extreme codependent person and you should read this article. Breaking up with your extremely narcissistic partner is one way of gaining back your autonomy over your life. Another important thing you should work on is setting boundaries and finding your own individual happiness. Work on finding your personal worth within yourself to stop looking for other people to approve of your value. An extra step you can take is to make it a challenge for yourself to be more narcissistic for couple of days. See what comes up when you do it. The emotions of shame or guilt you might experience should be dealt with. Feel them and let them go. See that you have the right to be more selfish.